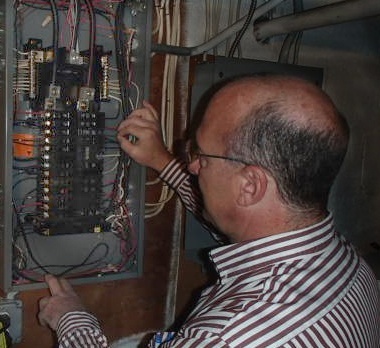 Home Inspector Extraordinaire: Since 1993, Michael Del Greco has performed over 10,000 Accurate Inspections. Click to read Michael’s qualifications. 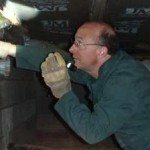 Professional: Michael will perform your home inspection, he was a construction project manager for 7 years before becoming a full time inspector in 1993. Click to read Michael’s qualifications. Impartial: Our lack of affiliation with real estate agents means you can trust our reports to be completely accurate revealing hazards and defects. The Best: You get to know ‘What is wrong’, ‘Why it is wrong’, ‘How it can be corrected’ and ‘What might result if it isn’t corrected’. Simple, Accurate and Comprehensive. All The Right Reasons to Choose Accurate Inspections, Inc.
For more than 20 years we’ve been giving home buyers accurate information about the condition of the homes they’re about to purchase. In the course of more than 10,000 home inspections, our detailed inspections have helped buyers negotiate better home prices, assisted them with getting needed repairs completed by sellers prior to closing, and even prevented the purchase of homes that would have being damaging to their financial or physical well-being. 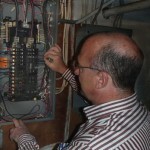 The value provided by our skilled home inspection is second to none. For the fastest and most complete response we encourage you to touch to call (973) 812-5100 8 AM to 10 PM Business days, Saturday 9 AM to 5 PM and Sunday 11 AM to 4 PM in order to allow us to provide you with the personal attention that your call deserves. Most home inspections take between two and three hours. However, there is no time limit. Should the home you want to purchase prove to be more complex, Michael will take all the time it needs. In addition, he will show you, not just tell you, what is wrong and why it is wrong. He’ll then encourage you to ask questions, and he won’t rush you through them. Unlike cut-rate firms, we’ll never rush through an inspection in order to move on to the next one. We’ll also never answer phone calls and attempt to deal with other clients during your inspection. When we inspect for you, you’ll have Michael’s full attention and as much of his time as it takes to do a complete inspection and answer all of your questions. Our clients come to us primarily as referrals from past clients and from attorneys who know the value of our work. We have no loyalty to any REALTORS®, nor do we count on them to send us business. Most inspectors rely primarily on real estate agents to send them clients, and this is most assuredly a conflict of interest. Some inspectors are so afraid of “killing a sale” and losing future referrals that they gloss over problems that could seriously damage the home buyer. We have no such fear, and in fact would rather prevent a sale than let a home buyer become physically or financially harmed. You’ll go home with a copy of Michael’s checklist, but that’s not all there is to a report. That evening Michael will use the notes he took during your inspection to write a detailed report outlining the problems he found and his recommendations for correcting them. Then the complete report and the photos he took will be posted to a page on his website and you’ll be given the URL to access that page. The next morning, a complete report will go in the mail to you and to your attorney. This customized Home Inspection Book will give you a complete picture of the condition of the house, along with photos and detailed back-up information. We’ve heard numerous tales of home buyers waiting days for their report – while the clock on their inspection contingency keeps counting down. When you use Accurate Inspections, Inc. there’s no waiting. We know that you need to read and digest your report in plenty of time to decide how to proceed. You may use it to lower your purchase price, to convince the sellers to make repairs prior to closing, or to change your mind about purchasing the house. It’s a fact: Sellers and their agents frequently dispute home inspectors’ findings. That’s why we provide a comprehensive Home Inspection Book. By providing you with photographs and authoritative references to substantiate our evaluations, our detailed reports give you the back-up you need to validate your request for repairs and/or price reductions. Note: While we’ll tell you what kind of expert help is required to correct a problem, we do not refer individual companies or providers. We have no connections with or loyalties to any providers, so you need never worry that we’re recommending a plumber because a friend who happens to be a plumber needs the work. Again – our only loyalty is to you, our client. Our reports include a detailed Pre-closing Walk-through Guide in order to help you avoid surprises after you purchase the home. This is important because conditions in the home may change between the time of the inspection and the day of closing. This is especially true when the home is occupied. Your pre-closing walk-through is your opportunity to inspect the house unfurnished for any hidden defects and/or for any conditions that might have changed since the inspection. Using our comprehensive guide and checklist, you can feel assured that with the exception of repairs that have been completed, you’re purchasing a home that is unchanged since the inspection. In addition to being licensed by New Jersey as a Home Inspector, Michal Del Greco is a licensed Radon Measurement Technician. As such, he will not only place the radon canister, he will see to it a licensed Radon Measurement Technician returns to the property in person to retrieve it. Some inspection companies, in an effort to save money, will send an unqualified employee or even recruit a homeowner or Realtor to retrieve the test and mail it to the lab. This is NOT in your best interests. In fact, recruiting a homeowner or agent for this task is illegal. Michael Del Greco has inspected more than 10,000 New Jersey homes since 1993. His business is built on referrals and recommendations from past clients and from attorneys who know and appreciate the value of his work. He’s both a teacher and a student, having taught Home Inspection classes both at Morris County School of Technology and attends New Jersey Home Inspection advisory Committee Meetings. He’s also taught continuing education classes for licensed inspectors, and mentored field training for student home inspectors. But he doesn’t rest on his experience. He attends classes as well, keeping up with the latest in building materials and methods. 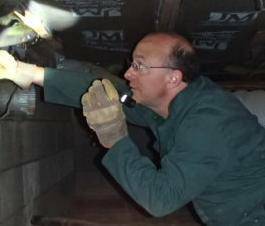 Michael is a member of InterNACHI, and ASHI (The American Society of Home Inspectors).